Dr. David Palma is a radiation oncologist at the London Health Sciences Centre and a Clinician-Scientist with the Ontario Institute for Cancer Research. He holds an MD from the University of Western Ontario, and MSc from the Harvard School of Public Health, and a PhD from the VU University in Amsterdam. His clinical practice focuses on the treatment of lung cancer, head and neck cancer, and oligometastatic disease. Dr. Palma runs a patient website focused on improving the quality of cancer care and is the author of the bestselling book Taking Charge of Cancer: What You Need to Know to Get the Best Treatment. Dr. Devin Schellenberg is a radiation oncologist at the BC Cancer Agency Fraser Valley and Vancouver Centres. He is a leader in the Provincial Stereotactic Ablative Body Radiotherapy (SABR) program and actively involved in research related to clinical and patient reported outcomes after treatment for lung, liver and pancreas tumors. Aside from studying how radiation is altering the treatment of metastatic disease, his other areas of research interest include the use of bio-impedance to monitor respiratory and cardiac motion and how high doses of radiation affect tumor vasculature and immune response. 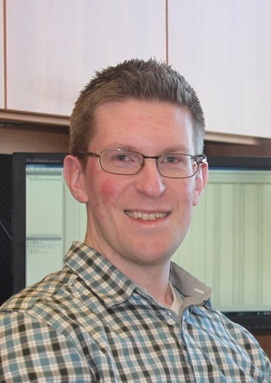 Andrew Warner is an epidemiologist and biostatistician working as a research associate at the London Regional Cancer Program (London Health Sciences Centre) under the direction of Dr. David Palma since 2011. He has extensive experience in the management of large multi-institutional databases, performing complex statistical modelling and analysis of patient outcomes following radiotherapy. His research focuses on comparative effectiveness analysis of existing radiotherapy techniques for brain, head-and-neck, lung, breast, prostate and metastatic malignancies and the development of patient outcome prediction tools to facilitate patient-physician interaction and clinical trial design. Dr Meredith Giuliani is an assistant professor in the University of Toronto, Department of Radiation Oncology and a radiation oncologist at the Princess Margaret Cancer Centre. She received her MBBS qualification from the University of London, England and her Master’s of Education from the University of Toronto. She completed her residency training at the University of Toronto. She is the Chair of the Canadian Association of Radiation Oncology’s Education Committee and the Medical Director of Education for Princess Margaret Cancer Centre. Her clinical interests include lung cancer & head and neck cancer. Dr. Alex Sun is a radiation oncologist at Princess Margaret Cancer Centre. His research interests include the development of clinical trials to improve outcomes in lung cancer patients through the integration of Positron Emission Tomography (PET) imaging in the management of lung cancer and to define the role of prophylactic cranial irradiation (PCI). He is currently the NRG Oncology (formerly RTOG) Principal Investigator for Princess Margaret Cancer Centre and is a member of the NRG Oncology Lung Cancer Steering Committee. Dr. Jean-Pierre Bissonnette is a medical physicist at Princess Margaret Cancer Centre. His research interests include image-guided radiation therapy, extracranial radiosurgery for liver and lung malignancies, adaptive radiation therapy for lung cancer, and development of simulation environments for quality assurance procedure testing. His primary area of expertise is the use of CT and PET imaging to track anatomic and metabolic changes following radical radiotherapy dose. Dr. Alexander Louie is a radiation oncologist at the London Regional Cancer Program (London Health Sciences Centre) and is cross appointed to the Department of Epidemiology & Biostatistics. His research focuses on stereotactic ablative radiotherapy for lung cancer, selective treatment sparing techniques to improve patient outcomes and the development of clinical trials. His other areas of expertise include analysis of national cancer registry data and other population-based databases and the use of Markov modeling and cost effectiveness research to improve resource availability strategies. Dr. Patrick Granton is a Medical Physics Resident at the London Regional Cancer Program (London Health Sciences Centre). He has a PhD from the University of Maastricht for his work in small animal precision irradiation while at Maastro Clinic in the Netherlands. His primary expertise includes x-ray and optical cone-beam CT imaging, dual-energy CT and preclinical small animal radiation research. Patrick's research interests include thoracic irradiation and technology transfer in radiation therapy. Dr. Patrick Cheung is a radiation oncologist at the Odette Cancer Centre (Sunnybrook Health Sciences Centre). His research interests include hypofractionation for lung and prostate cancers and steretactic body radiotherapy (SBRT) for lung, prostate and oligometastatic cancers. He is also interested in novel applications of SBRT to other sites of disease. He has extensive experience in comparative effectiveness research for validation of existing radiotherapy techniques and in the development of clinical trials. Dr. Christopher Ryerson is a respirologist and Associate Professor at the UBC Centre for Heart Lung Innovation. He completed his undergraduate degree at Queen’s University, medical school at the University of Western Ontario, and his internal medicine residency and respirology fellowship at the University of British Columbia. He has a Masters degree in clinical research from the University of California San Francisco, with a clinical and research focus on fibrotic interstitial lung diseases. He joined the faculty at UBC in 2011. Dr. Ryerson’s research interests include non-pharmacologic management and prognostication of interstitial lung disease. Anne O'Connell has worked in the London Regional Cancer Program (London Health Sciences Centre) Clinical Research Unit since 2001. She has extensive experience with national and international prospective randomized trials involving the delivery of radiotherapy and/or chemotherapy to a variety of disease sites. Her main duties include daily monitoring of ongoing trials and collaborating with data safety monitoring committees at all participating sites to ensure all severe adverse events are properly documented. Anne works directly with principal investigators and data collection teams to ensure accurate and consistent data collection methods are used across multiple participating sites.